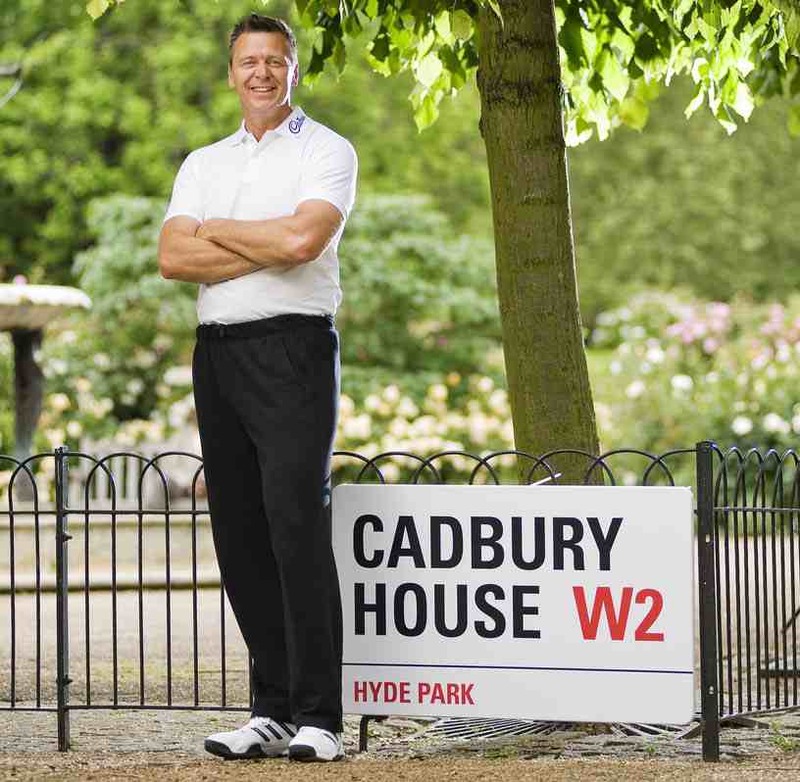 June 23 - Steve Backley, the former British javelin star who won three Olympic medals in a glittering career, has unveiled the plans for Cadbury House in Hyde Park during the London 2012 Olympics. 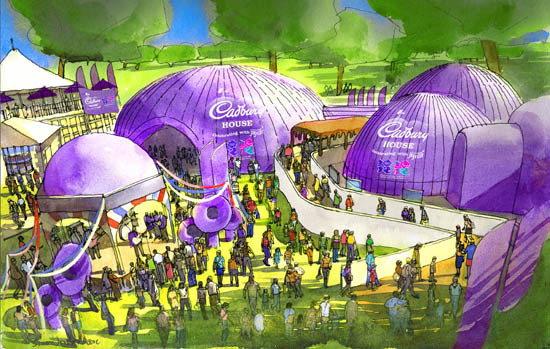 The pop-up venue from Cadbury, the Official Treat Provider of London 2012, will be set up in Hyde Park as part of BT London Live, where the capital's premier open-air screening of the Olympic and Paralympic Games will take place. Open from the Olympic Opening Ceremony on July 27 to the Closing Ceremony on August 12, Cadbury House will provide a free interactive experience for the public. Backley (pictured above) highlighted a visit to Cadbury House as one of alternative ways to experience the Games in the host city. "Having worked with Cadbury during its journey to London 2012 I am delighted to be working with them again to highlight how they are bringing people together to celebrate and feel a part of the spirit of the Olympic Games this summer," said the 43-year-old former world record holder, who won Olympic silver medals at Atlanta in 1996 and Sydney 2000 and bronze at Barcelona 1992. "There are many different magical experiences that form part of Cadbury House but the one I am most excited about is the Great Games Zone, where people will get the chance to try their hand at a number of sports with a Cadbury twist." Cadbury House visitors will enter through a giant walkway which passes into the "Joyville" tasting zone where Dairy Milk chocolate can be eaten. It will also feature a "Chocolatrium" where visitors can sample other Cadbury products including Twirl, Creme Egg, Wispa, Freddo and Dairy Milk. In addition, there will also be a Great Games Zone where visitors can feel what it is like to be an Olympic athlete by taking part in a virtual head-to-head race with British swimming star Rebecca Adlington before receiving a celebratory chocolate medal. "Cadbury House is opening up the doors of Cadbury's magical imagination to the world, sharing everything that embodies both the spirit of the Games and the magic of Cadbury with as many people as possible," said Clare Tasker, Cadbury's head of consumer marketing for London 2012. "Cadbury House is a big part of the culmination of two years of Cadbury's sponsorship of London 2012. "We've been making consumers feel part of the 2012 Games in a fun and exciting way by playing games with Cadbury Spots v Stripes, keeping the athletes motivated with Keep Singing, Keep Team GB Pumped, having fun with our Creme Egg Goo Games and giving people the chance to actually experience the Games live with hundreds of ticket giveaways." Cadbury have also revealed they will be enlisting the help of a celebrity curator, to be revealed in the coming weeks, who will help the public enjoy the London 2012 experience further.